Are you a student in Nelson County? 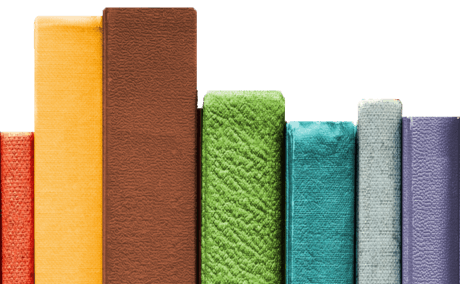 Nelson Memorial Library is expanding soon and we'd like your input on what books to add and what new programs to offer. This survey will help us serve you better. Library service to Nelson County was provided as early as the late 1940’s by volunteers from the Nelson County Garden Club. They maintained a collection of books which had been donated as a memorial to the service men and women of World War II. The books were housed in a former Presbyterian Church (circa 1888) that was owned by the Garden Club. In 1966, members of the Nelson County Chamber of Commerce and other county organizations met with representatives of the Virginia State Library to explore the possibility of organizing a public library and providing bookmobile service. In 1970, the Chamber commissioned the writing of a book which would tell the story of the devastation in Nelson County caused by Hurricane Camille in 1969. Proceeds from the sale of Torn Land were to be used to build a memorial library. Encouraged by interest in public library service, the Nelson County Board of Supervisors appointed a committee in 1972 to further investigate the possibilities. They discovered that participation in a regional library system would allow Nelson County to tap into funding sources and library resources not otherwise available to them. In September 1972, the Nelson Memorial Branch of the Jefferson-Madison Regional Library opened its doors to the public. The white-frame church building on Front Street was an immediate success. The first branch manager was Laura Turner, a former school teacher. Circulation of books at the Nelson Memorial Library increased dramatically over the years. In 1972-73, there was a circulation of 7,157 books. In 1987-88, circulation was 46,570. Patron usage, program attendance, and bookstock has also shown large increases. It became apparent that the library had outgrown its charming but cramped quarters. The book collection had increased greatly and there was simply not enough room for the books. Attractive programs sponsored by the Friends of the Library often drew crowds of over 100 people. Around 1980, the County Chamber of Commerce renewed its fund-raising efforts. They actively solicited donations to the Torn Land Fund. In 1985, the C&P Telephone Company donated one of their local buildings. Proceeds from the later sale of this building were added to the fund. In March 1983, a group of interested volunteers met to organize a local Friends of the Library who sought to push for a new library and increased hours of operation. The Friends also sponsored many programs and fund-raising activities. Land adjacent to Lovingston Elementary School was later donated by the School Board. In 1986, JMRL and Nelson County were awarded a federal LSCA Title II grant through the Virginia State Library. Other funding was provided by the Nelson County Chamber of Commerce, the Torn Land Memorial Trust Fund, the JMRL and Nelson Memorial Friends, the County of Nelson and numerous individuals and businesses. The new building would be a community effort and a source of pride for all. Construction began after a formal groundbreaking ceremony in January 1987. In May 1988, the move was made into the new building. 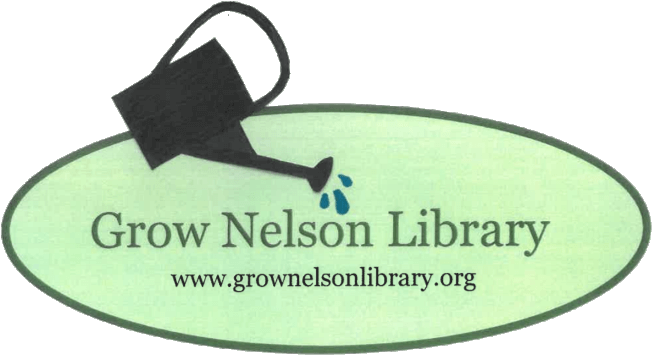 In addition to its regular offerings of books, periodicals, videos and books on tape, the Nelson Memorial Branch also provides Internet access to the public, a very popular service initiated by the Nelson County Library Advisory Committee and funded by the Torn Land Memorial Trust Fund. The meeting room, heavily used for public meetings and library programs, doubles as an art gallery with exhibits changing every two months. The Nelson County Visitors Center is located on the lower level of the library and a collection of local history materials and cemetery records is maintained by the Nelson County Historical Society. Currently, the branch is staffed by one fulltime manager and 3 part time staff members who are assisted by dedicated volunteers. Approximately 40% of Nelson County residents have a library card. In addition to a collection of 28,000 items, the library offers eBooks through Overdrive for all those patrons who prefer electronic reading or listening. Computers are available for public use as well as wireless internet service. Weekly story times for preschoolers as well as numerous programs are presented for children and young adults. Since the current building was opened, the collections and services have increased so that the Library has outgrown the available space. The Torn Land Committee and the Nelson County Library Advisory Committee commissioned an architect to assess the current building and to plan for an addition. State requirements indicate that at least double the current space is needed to serve the size of the Nelson County population. A recent community survey reinforced this need, since patrons are asking for more space for computers and seating. Dedicated to the memory of the Nelson County victims of 1969’s devastating Hurricane Camille, the present-day Nelson Memorial Branch Library is a lasting memorial and, as well, a testimonial to the dreams, dedication, and hard work of the people of Nelson County who love and appreciate their library. 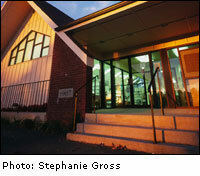 See why Nelson Memorial Library patrons love their Library.